Attach up to 4" (10 cm) monitors to the DJI Ronin stabilizer with this Monitor Mount from GyroVu. 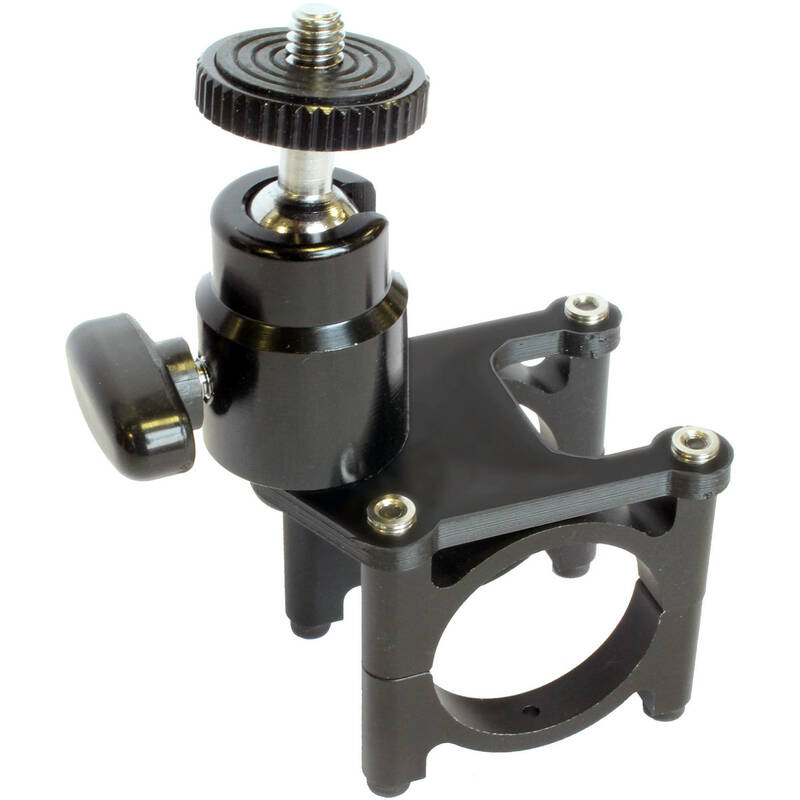 It clamps on and secures tight with screws and offers a swiveling ball head with a 1/4"-20 screw. It can be mounted on any 30mm rod/pipe, so it's not limited to the Ronin. Box Dimensions (LxWxH) 3.3 x 3.0 x 1.7"
Carbon Fiber Monitor Mount for Ronin is rated 3.5 out of 5 by 2. Rated 3 out of 5 by Kyle from Seems fine but does not fit Ronin-M I purchased this for the Ronin-M but it does not fit. Overall seems fine although it will not be able to come off an on quickly since it is fastened with hex bolts. Especially if you are using the Ronin case I would say that might be tough since you will have to unscrew it in order to put the top bar back in the case. Rated 4 out of 5 by Reuben from Requires a lot of time to mount This is a great product once you install it on your Ronin. The downside is that it takes a lot of time to mount it and unmount it. It would be perfect if there was a quicker way to mount and unmount it. I would recommend this if you have a lot of time on set and/or assistants to help build your rig.